July is coming fast which means the IBU Summer Competition is fast approaching. The deadline for entries to the Rye Beer Summer Competition is July 13th. Please bring your (2) 12oz bottles to the club meeting that night with the appropriate labels attached with a rubber band. Also, remember caps must be the gold type with no writing or ornamentation anywhere. If you don’t have any, please ask a fellow brewer, stop by a homebrew store, or ask a board member. We are happy to share. 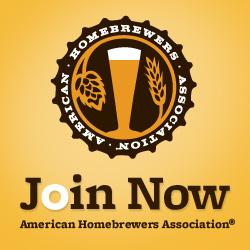 In our efforts to make the club competitions more in line with outside ones, we are using beerscores.com to register all entries. There is no charge to paid club members. Registration is quick and easy and upon completion, labels will be ready for you to print and cut out. Judging will take place in the week that follows and winners will be announced at the club social event Thursday, July 23rd at Lake Norman Brewing. We will kick it off at 6:30PM and we will be providing finger food. We invite our rye entrants to bring some of their competition beers for the club to sample as we announce the results. I don’t understand the use of Beerscores for a club comp. Just a way to make it more complicated for no reason. It’s 2-fold: 1-we need an easy way to track entries, and 2-we are using it as an education opportunity for people who want to enter the bigger competitions. We won’t be as strict on the rules, but we want to help people get use to the requirements for bigger competitions. It’s not meant to be a hinderance.